We spent the morning getting ready to go to a family Christmas gathering. Part of the preparations were frosting the sugar cookies we made yesterday. 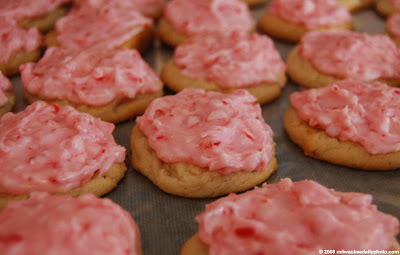 The crushed peppermint sticks turned the icing pink, and made for a great combination.